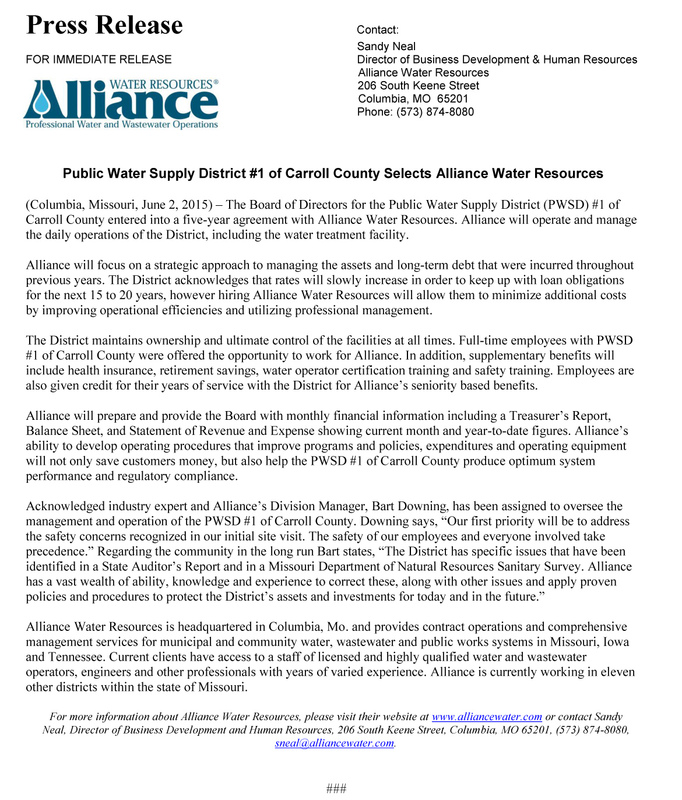 The Board of Directors for the Public Water Supply District (PWSD) #1 of Carroll County entered into a five-year agreement with Alliance Water Resources. Alliance will operate and manage the daily operations of the District, including the water treatment facility. Alliance will focus on a strategic approach to managing the assets and long-term debt that were incurred throughout previous years. The District acknowledges that rates will slowly increase in order to keep up with loan obligations for the next 15 to 20 years, however hiring Alliance Water Resources will allow them to minimize additional costs by improving operational efficiencies and utilizing professional management.